We feel like kids in the candy store each time we thumb through a new seed catalogue that arrives with all the beautiful varieties of fruit and vegetables. 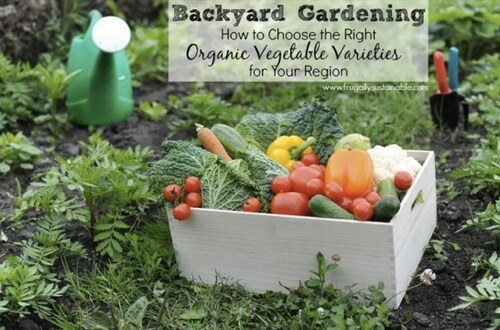 There are so many options to choose from and it feels like a guessing trying to select the best varieties to guarantee a successful growing season and harvest. We found this article over at Frugally Sustainable helpful because they explain why the zone charts primarily are useful only when dealing with perennials. Because most of our vegetables are annuals, their successful growth depends on other regional factors.